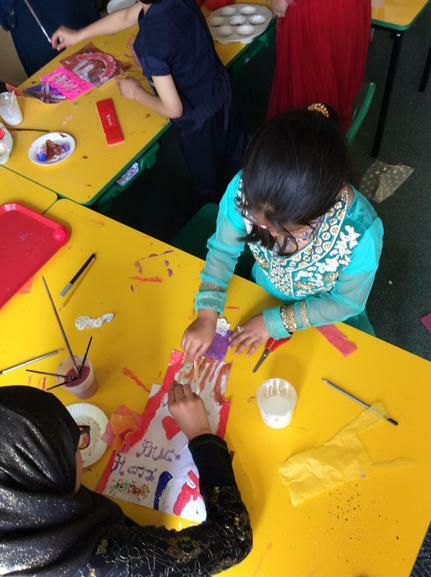 All the children in Phase 3 have been working in their House Teams today. 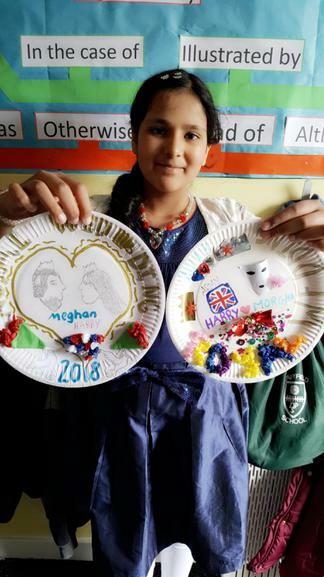 They have been busy celebrating the Royal Wedding of Prince Harry and Meghan Markle in their own unique way in each classroom. 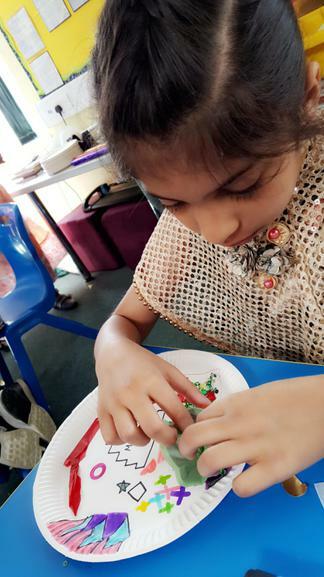 In Rowan Class, Mr. Armitage has been working with the children to create crowns and self portrait masks which the children have decorated. 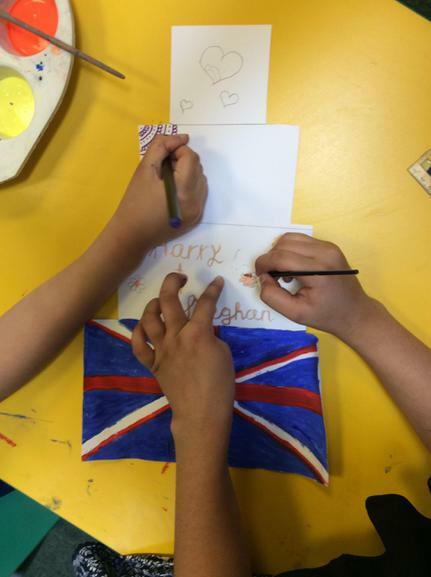 The children have used these masks to get in to character as the Royal Family through some interesting roleplay too. 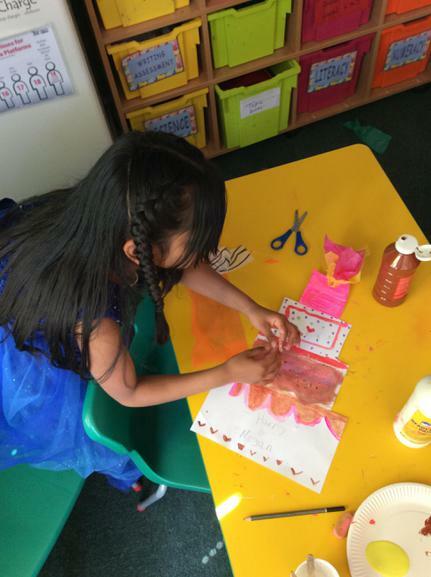 In Hazel Class, Mrs. Ali has had all the children becoming fashion designers for the Royal Wedding! 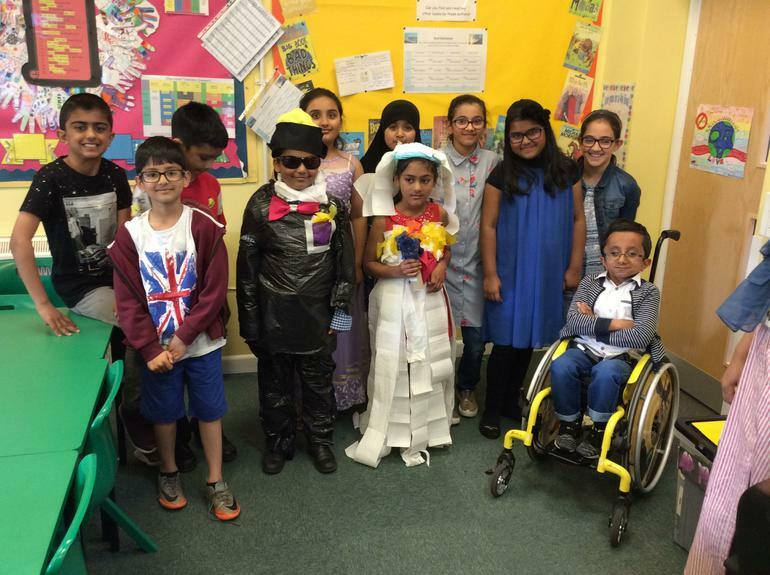 The children have worked in teams and competed with each other in order to create the best wedding outfit for both bride and groom. 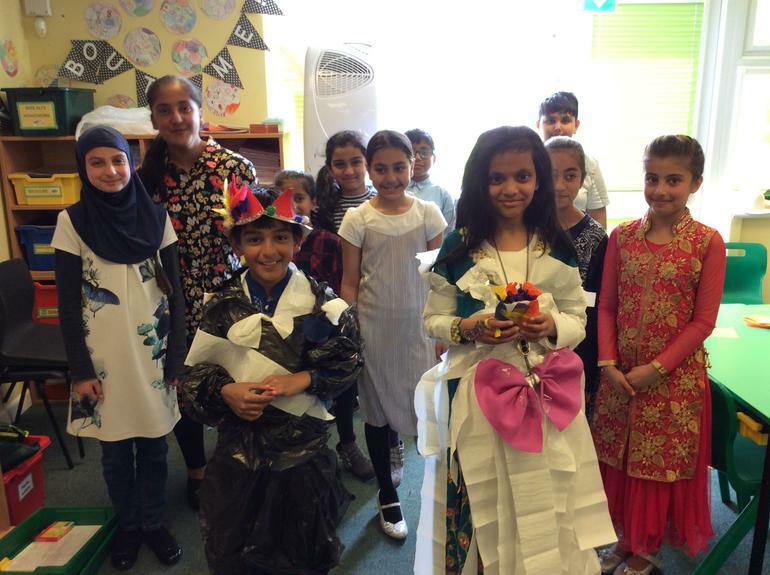 The challenge being they could only bin liners and tissue paper to do so. The competition has been fierce and Miss. Ramsbottom has been called into judge the outfits and pick winners. 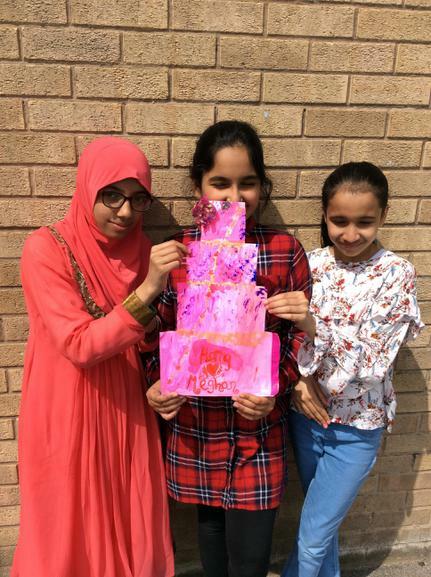 In Elder Class, Mrs. Shiers has had the children designing and decorating the cake for the Royal Wedding. This has involved lots of painting and some very interesting ideas. 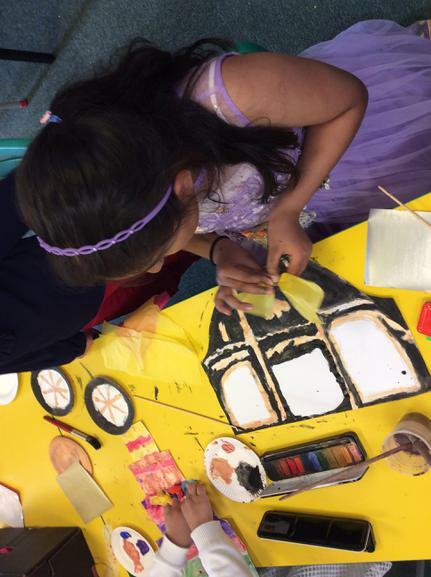 The children have then had the chance to give the Royal Carriage a makeover too. 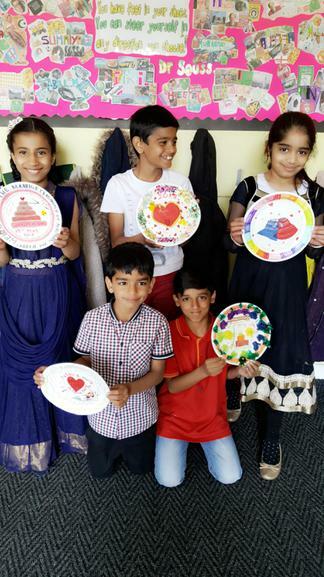 In Willow Class, Mr. Ainarkar has been getting the children to create commemorative plates to celebrate the Royal Wedding. 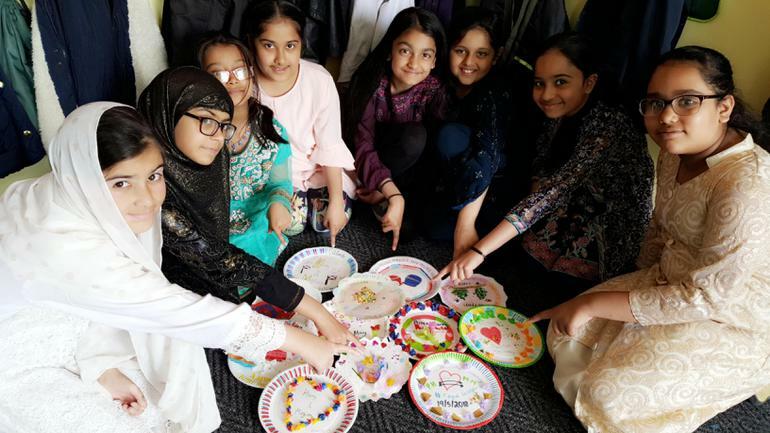 The teams have all worked brilliantly and it has been a pleasure to see the younger and older children working together so amicably.